This is one of my childhood girlfriends whom I met long before meeting my dear wife of 56 years, Judy Britton. most of us guys had a young lady during our years in grammar school who gave us that very interesting emotional malady known as "Puppy Love." Millie Long was one of those grammar school classmates who captured my 13 year old heart. Few indeed are those of us who will ever forget the object of our affection in those grammar school years. 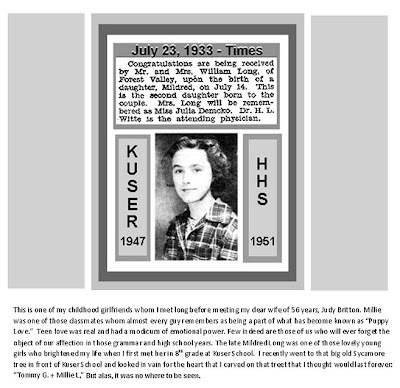 The late Mildred Long was one of those lovely young girls who brightened my life when I first met her in 8th grade at Kuser School. 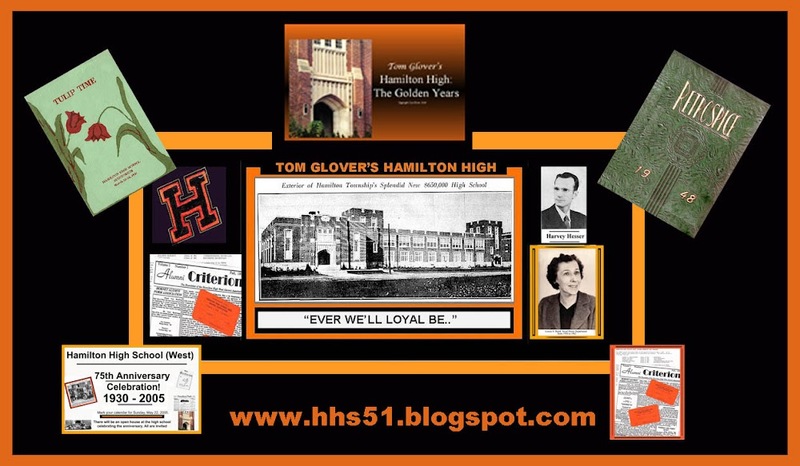 I recently went to that big old Sycamore tree in front of Kuser School and looked in vain for the heart that I carved on that tree that I thought would last forever: “Tommy G. + Millie L," but it was nowhere to be seen.